We'd been getting a bunch of calls for something with higher gain but without compromising the clean sound all of our amps are known for. So we went into the shop, and didn't come out until this tone monster was done. The Jacobs. Think of it as the best of that british chimey, clean amp that we all know about, combined with a high gain M type amp but without the fizzyness. Then, add our signature buffered effects loop, put it in our standard chassis, and there you have it. 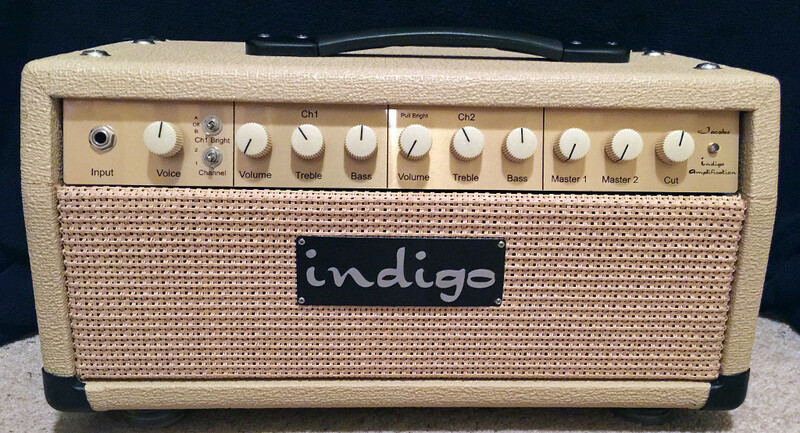 All our amps feature eyelet board construction on Military grade glass epoxy boards (Garolite G10/FR-4). We also use the highest quality teflon coated wire, capacitors, and a combination of metal and carbon film resistors. As for our cabinetry, it's all handmade; dovetail jointed and out of Poplar or Pine.